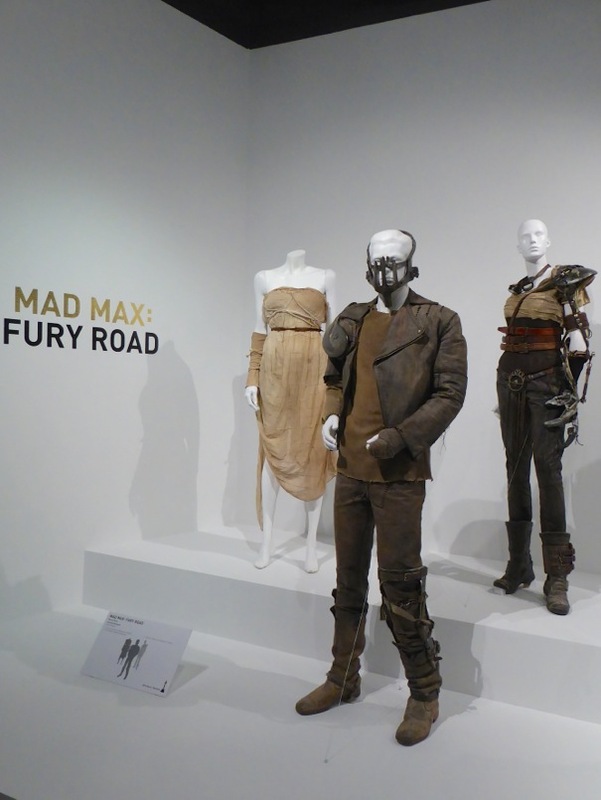 Up until now I'd been fortunate to see costumes on display from four of the five films nominated for this year's Best Costume Design Oscar, including Carol, Cinderella, The Danish Girl and The Revenant, but fortunately the Fashion Institute of Design & Merchandising (FIDM) Museum in Downtown L.A. has fantastic costumes from all five of the nominees, including Jenny Beavan's futuristic Mad Max: Fury Road costumes. 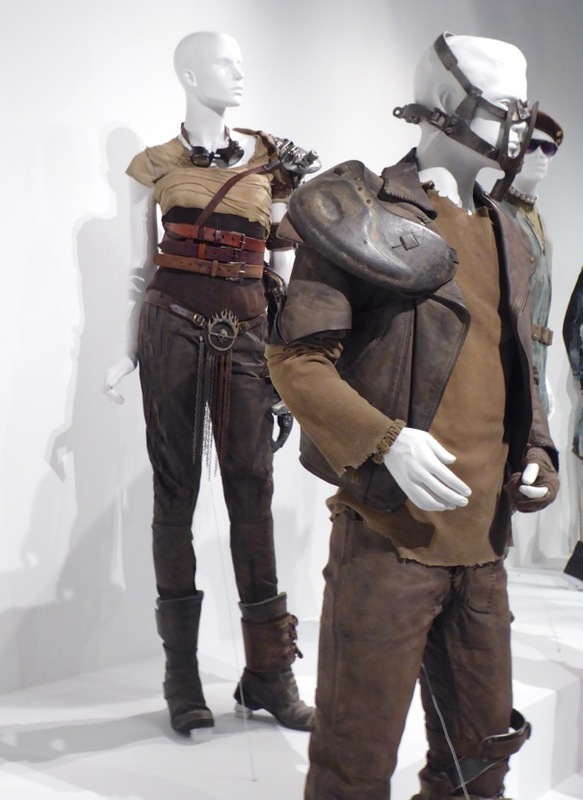 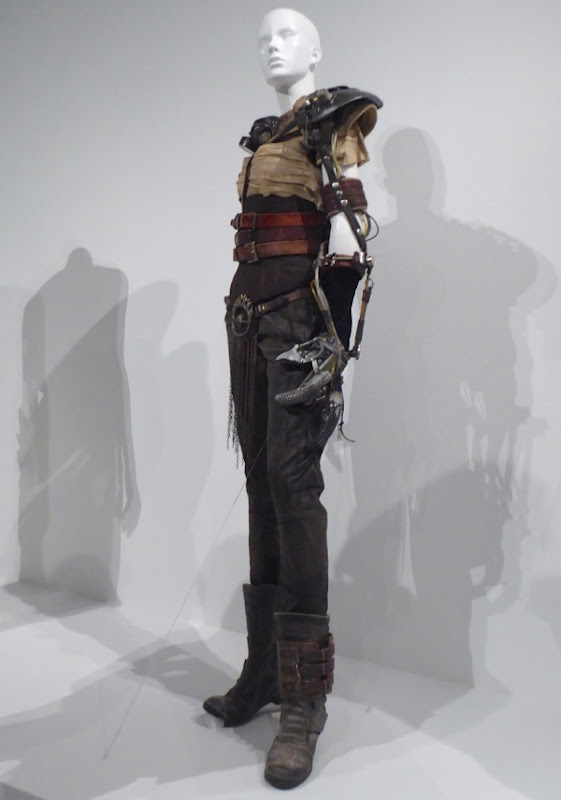 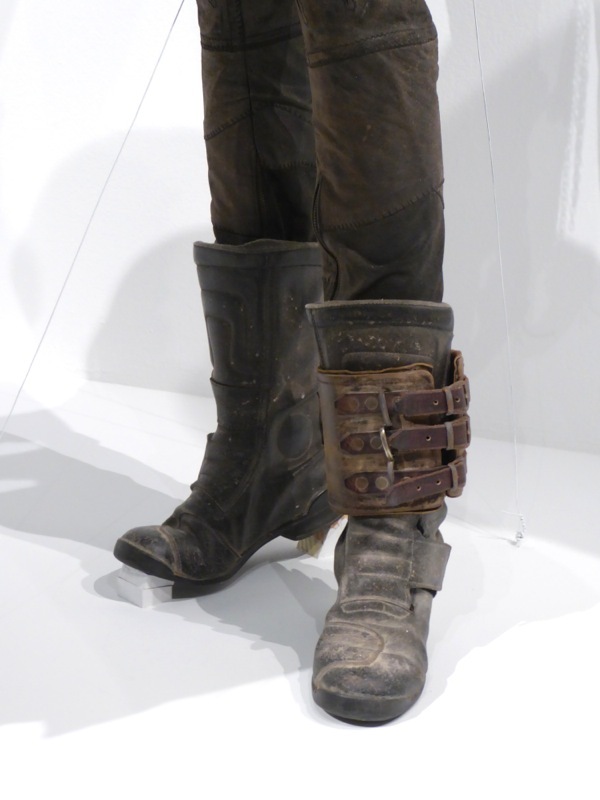 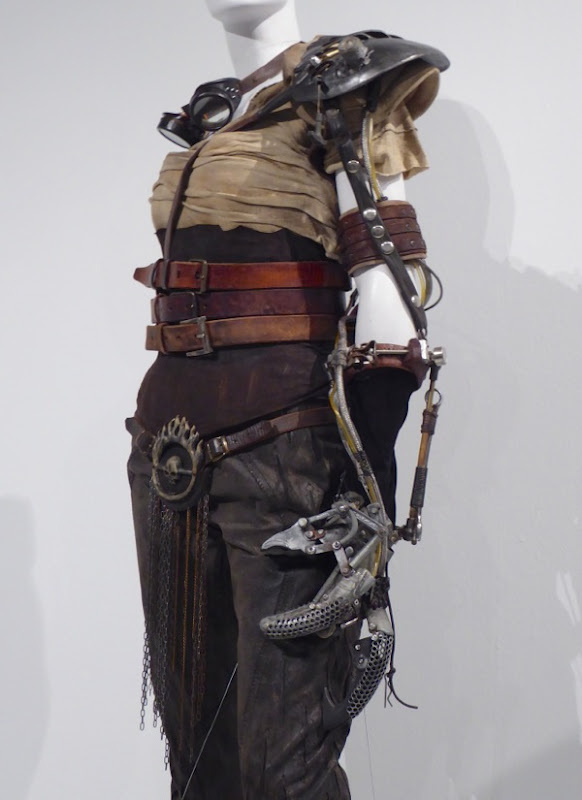 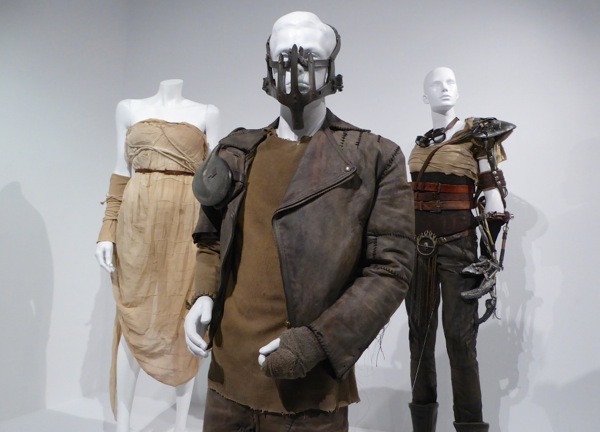 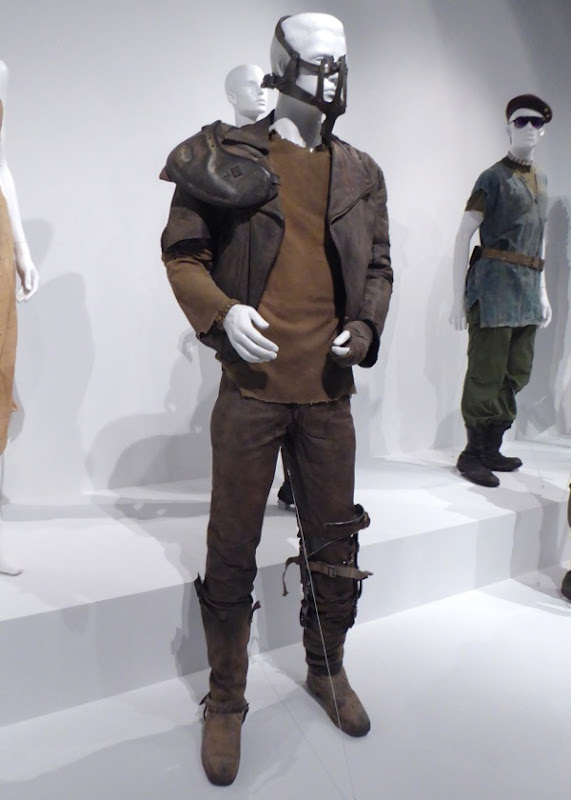 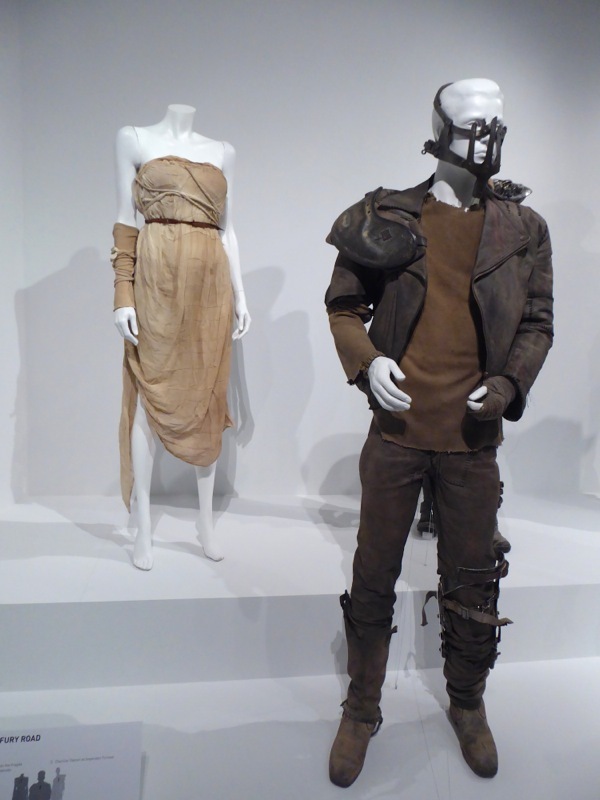 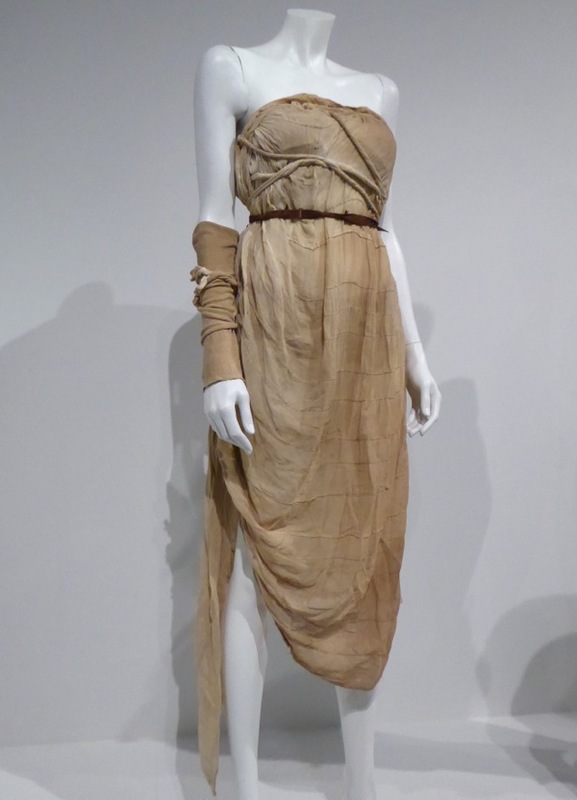 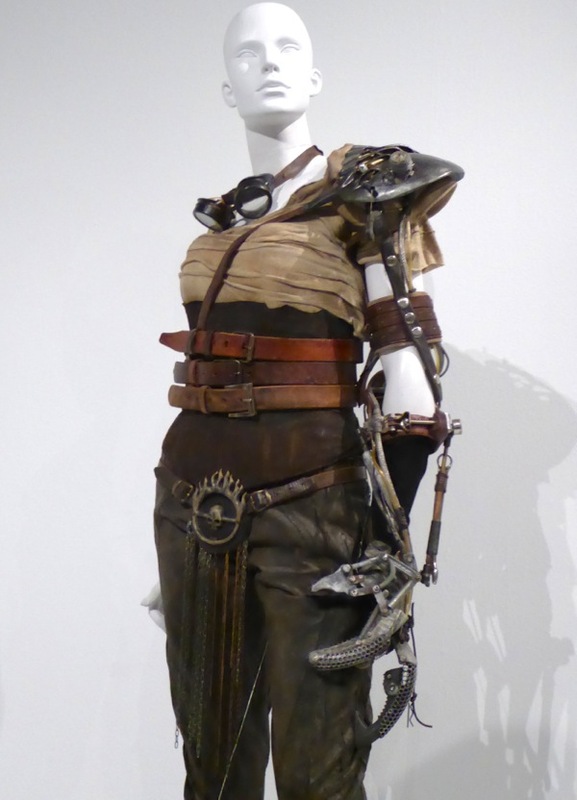 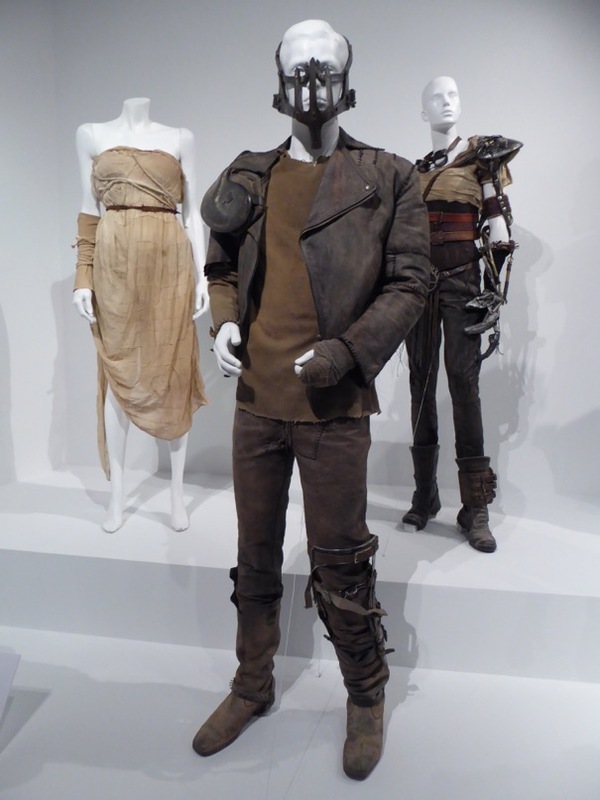 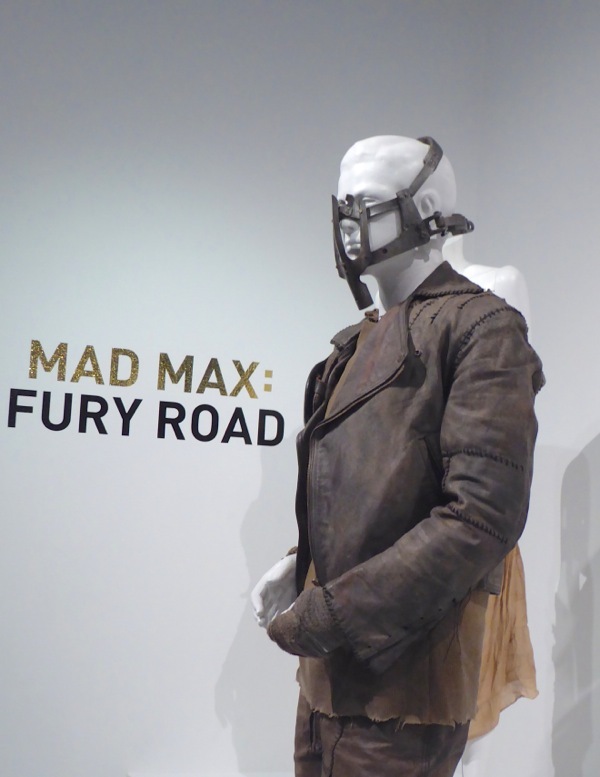 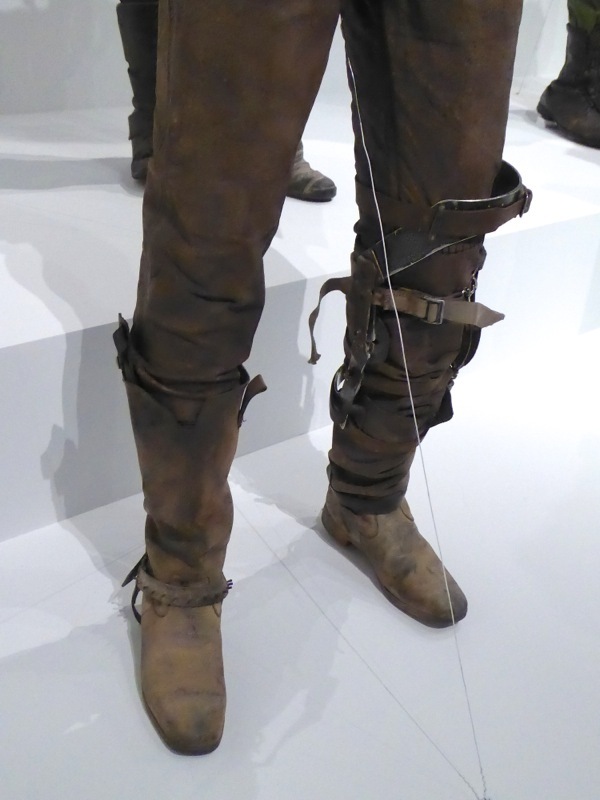 This trio of costumes from the latest Mad Max installment were photographed on February 12 and are part of the 24th Art of Motion Picture Costume Design exhibition currently on display until April 30, 2016 and best of all is free to the public and now allows flash free photography. 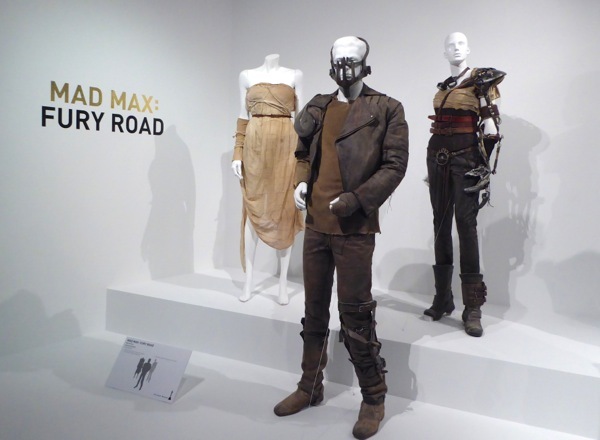 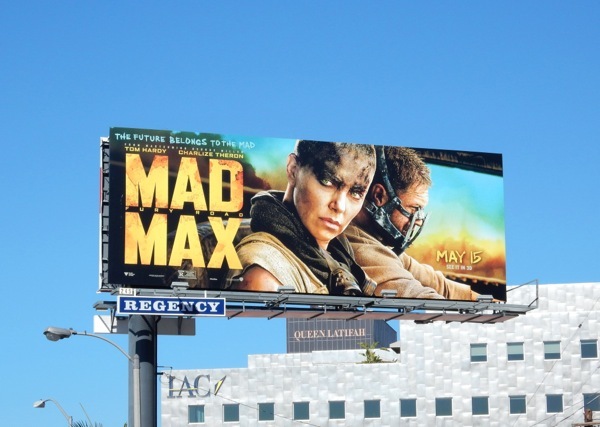 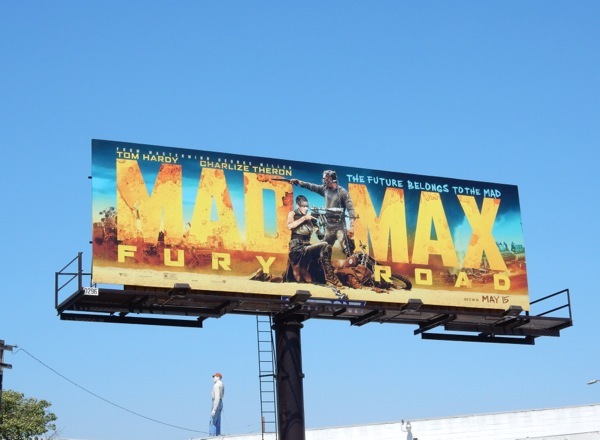 I have to say that initially I didn't think I'd enjoy this fourth Mad Max movie from George Miller, worried that it would be all action and no substance. 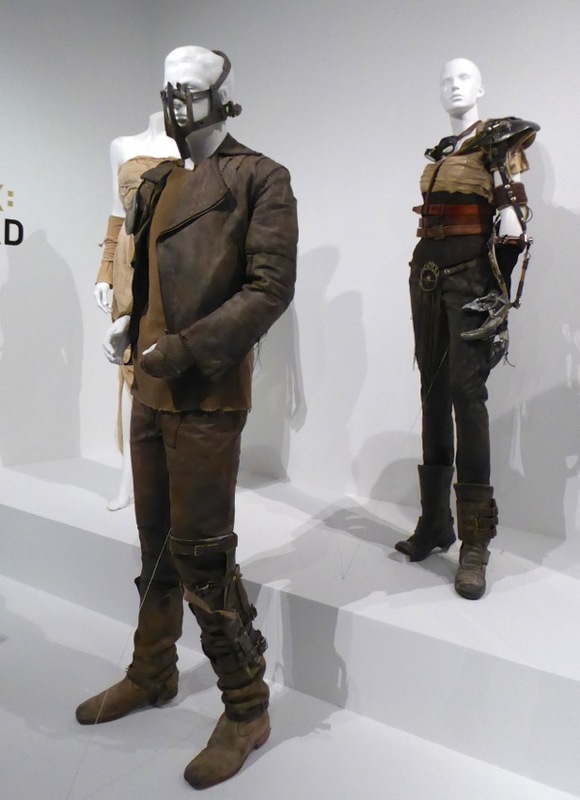 I was more than pleasantly surprised to discover a wonderfully realised future wasteland (helped obviously by the outlandish costume design and characters) and a pure adrenaline rush that was entertaining from start to finish. 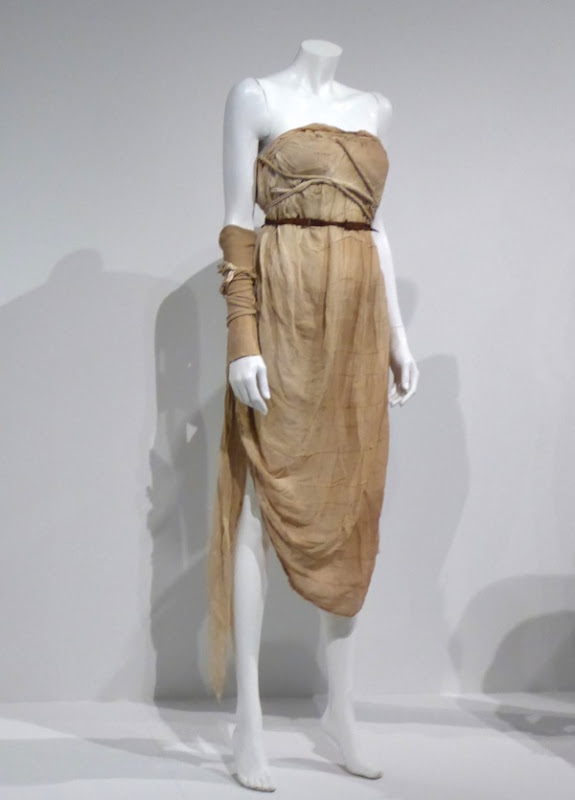 There's no surprise the film has been nominated for ten Academy Awards, including Best Picture, Directing and Makeup and Hairstyling to name but a few, and this is Jenny Beavan's tenth Oscar nomination, having already won once for 1985's Room with a View movie costumes (which she shared with John Bright). 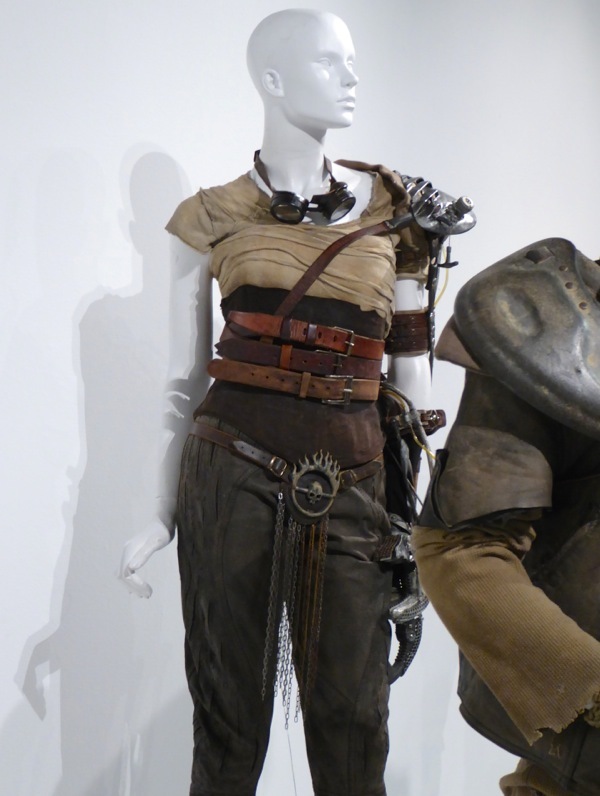 You can also see more of her work in costumes from The King's Speech and costumes from Sherlock Holmes: A Game of Shadows. 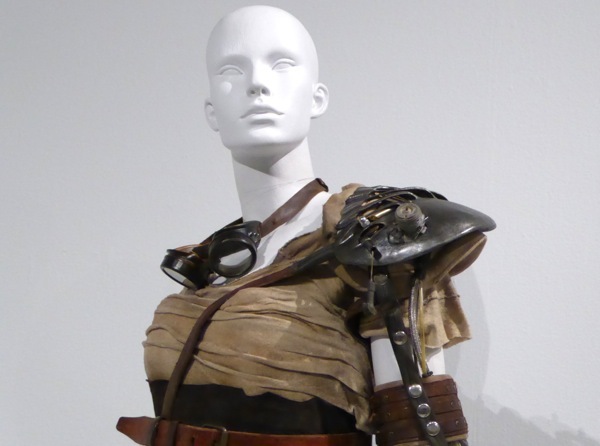 For me this was Charlize Theron's film as the bald-headed, one-armed 'Imperator Furiosa', who was trying to rescue a group of female prisoners from a psychotic warlord with the help of Tom Hardy's drifter 'Max'. 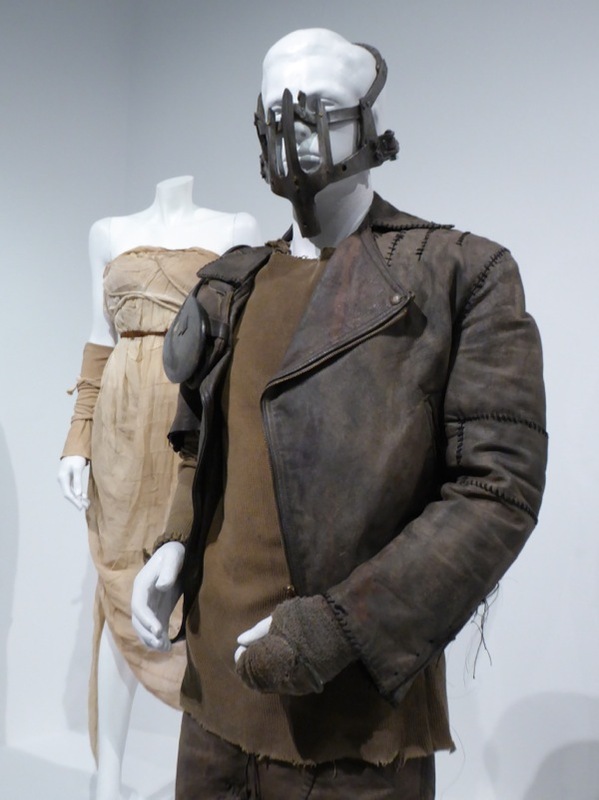 Tom Hardy takes the reins from Mel Gibson in Fury Road and for his troubles gets captured by 'Immortan Joe's' War Boys, his face clamped in a trap and he's destined to be used as a 'blood bag' until he escapes and ultimately joins Furiosa on the armoured War Rig. 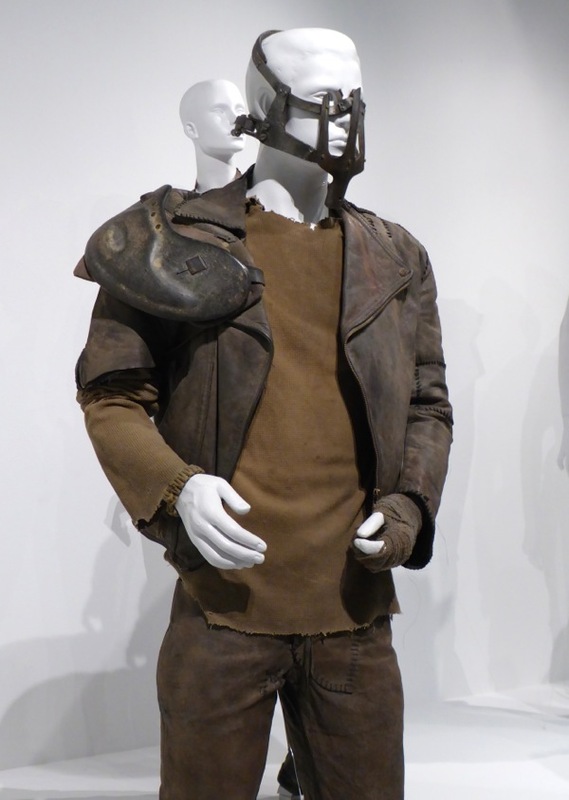 If you're a fan of the actor, be sure to also check out his Bane costume from The Dark Knight Rises. 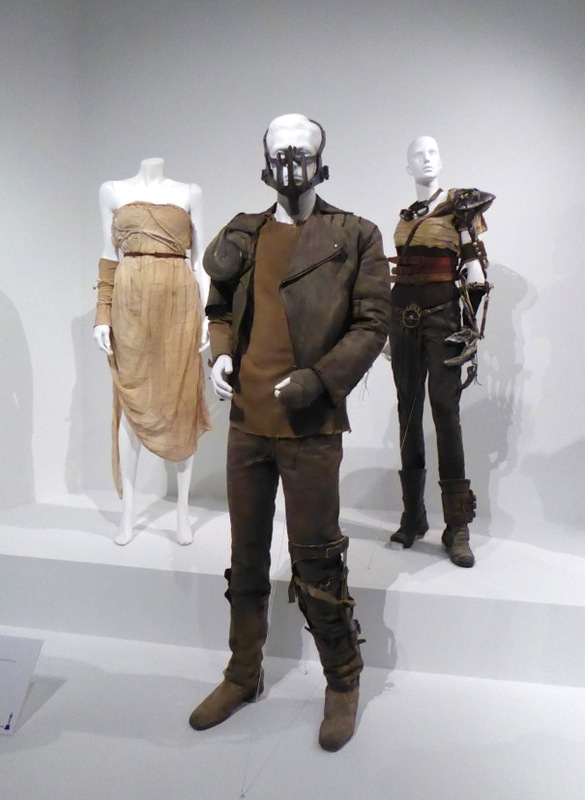 This costume is worn by one of Immortan Joe's escaping 'Wives', who have been selected for breeding with the grotesque overlord. 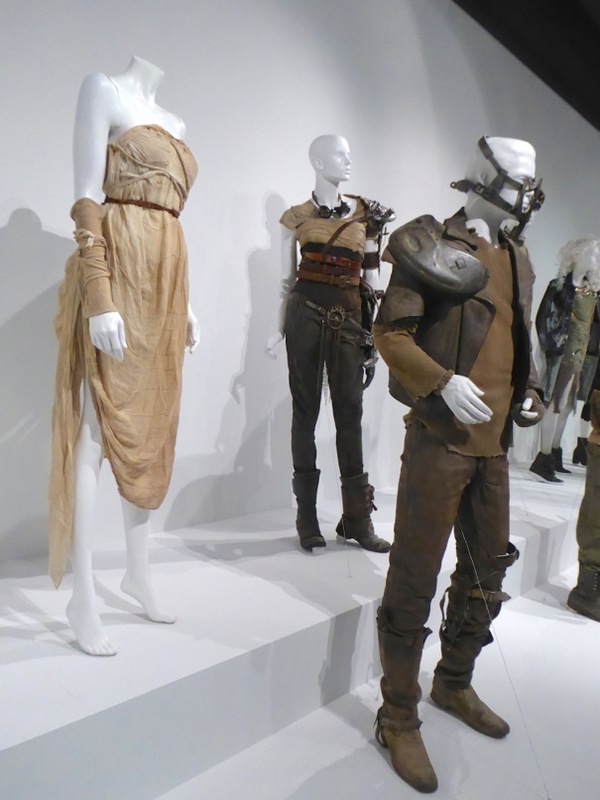 It was so cool to see these costumes in person (and out from behind reflective cases in such good lighting) and if you live in L.A. and get the chance to visit the FIDM Museum exhibition you'll discover a veritable treasure trove of cool costumes from films like Star Wars: The Force Awakens, Crimson Peak, Trumbo, Bridge of Spies, Mission: Impossible - Rogue Nation, Kingsman: The Secret Service and many more recent movies besides.